There are two presents I would like for Christmas. The first is a McLennan Monkees t-shirt. The second is a copy of Robert Forster’s book, The 10 rules of rock and roll, which collects together the music criticism previously discussed here. There’s a new piece in the book called ‘The 10 rules’. That I can’t wait to read – the 10 rules in the opinion of the man who wrote ‘Rock’n’roll friend’. In other Go-Betweens news, brought to us by the ever dependable Go-Betweens.net, the group are having a bridge named after them in their home town of Brisbane. It’s called the Go Between Bridge. Not the Go-Betweens Bridge plural, but Go Between singular. More of a referencing bridge than one named explicitly after them, I suppose. 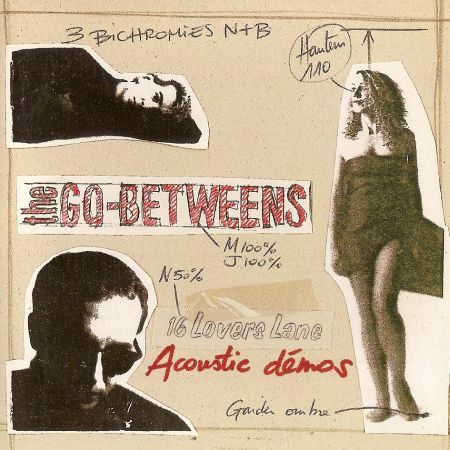 And it would be a dereliction of duty not to point you in the direction of a later Go-Betweens CD for Les Inrocks, which gave the French-speaking world a chance to hear acoustic demos for 16 Lovers Lane. 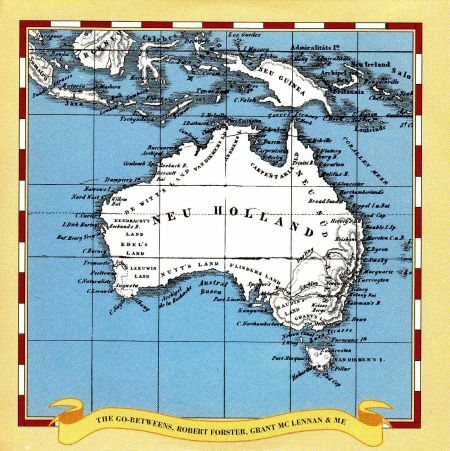 These didn’t make it onto the enhanced version of the album released by Lo-Max Records in 2004, so I’m guessing that if you’re a fan, you’ll want to head down under and visit our friends at That striped sunlight sound. 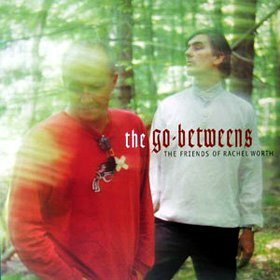 Just about living up to my promise of spending more time in the 21st century, here’s an edited version of my review of the Go-Betweens’ The friends of Rachel Worth, which mysteriously disappeared from the Tangents archive (probably during one of Alistair’s well-documented technological meltdowns). It was one of our three-way jobs, but the other two have also sadly fallen down a virtual crack as well. NB I actually quite like Sleater-Kinney these days. Before hearing The friends of Rachel Worth, I confidently predicted to a friend that Sleater-Kinney’s involvement would not have a detrimental effect on the album. He raised a large eyebrow, the very soul of scepticism. Never to my knowledge having heard Sleater-Kinney, it was a rash thing to say, but showed at least my faith in Robert and Grant’s judgement. On the first few listens, I was ready to concede that he was right. It seemed that just about any of the musicians Robert and Grant have worked with since the group raised a headstone to themselves in 1990 would have helped create an album more characteristic of the Go-Betweens. I thought that the reminders of Pavement – or does it all go back to Sonic Youth? – in what I take to be Sleater-Kinney-influenced elements of the sound was unfortunate. I don’t mind Pavement, you understand, I just didn’t want to hear echoes of them on a Go-Betweens record. It makes for jarring images in a familiar landscape; maples among the eucalypts. In any case, it’s not a comeback, because they never really went away. Each have turned in fine solo efforts since 1990. I’m particularly fond of Robert’s Warm nights, with its aura of straight roads, motels and diners. This is a reunification, a resurrection of an identity Grant and Robert have carried with them throughout their solo years. Here are two well-travelled musicians, with influences from across the Western world, who have forged their own sound in records made on three continents. By fourth or fifth listen, the jarring images have faded into the background, and the opening twangs of ‘Magic in here’ start to resemble nothing so much as the Go-Betweens themselves. Further in, there are echoes of the Able Label singles, and of Before Hollywood rock’n’roll toughness, and perhaps that’s what the well-intentioned young American helpers were encouraged to evoke. Having been bowled over by their performances as a duo last year, I was hoping that Grant and Robert would use this chance to go or stay acoustic. But the temptation of being a band again must have been too strong, and since this is an album which is as at ease with itself as 16 Lovers Lane, I can’t complain. I read that they were drama students. I never knew that, although Robert’s desperate pelvic banging of the podium on which Lindy Morrison sat drumming during a rendition of ‘Draining the pool for you’ at the Astoria in 1986 told you all you needed to know on that score. It shows in Grant’s approach too, comparatively and characteristically understated as ever. His knack for storytelling and his understanding of the weight a small detail can carry is that of a dramatic poet. Both offer songs which could easily have been written when they were starting out. A goofy optimism combines with typical dryness on Robert’s ‘Surfing magazines’, as ephemeral as its title suggests, while Grant’s ‘Going blind’ is effortlessly pop, alarmingly sing-along. More often than not, the prevailing wind is the familiar one, the heartfelt reflection on loss and the past that also permeates the novel from which they take their name. ‘Orpheus Beach’, for example, immediately joins the ranks of bruised McLennan classics, with its yearning chorus and brooding verse. 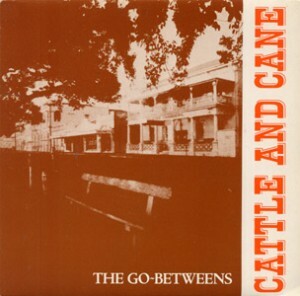 The best Go-Betweens albums have stood the test of time as well as any made in the 1980s. Through the nineties, the memory of the majority of their peers faded while Grant and Robert’s music continued to remind us what evocative, pin-sharp song writing there could be, if only good hearts were married to individual minds. The friends of Rachel Worth has ten gems of the Forster-McLennan variety, songs I expect to find endlessly fascinating, with an edge that once again ensures the Go-Betweens dip their collective chest to win at the line. Mediating Health Information: The Go-Betweens in a Changing Socio-Technical Landscape edited by Nadine Wathen, Sally Wyatt & Roma Harris. Palgrave Macmillan, August 2008. Don’t know about you, but I’ve always got the information most important to my health from Forster and McLennan. And their longevity certainly makes it meaningful to talk about them in the context of a changing socio-technical landscape… I like to think that one of the editors was up against a wager that she couldn’t get the name of her favourite group into a book title. The best piece that Robert Forster has penned for the Monthly is ‘A true hipster’, about his friend and song writing partner Grant McLennan. But there’s also this Sunday Times piece which appeared around the time that The evangelist was released – Robert on how he finished off the songs that Grant left behind. Apologies for trying to set the record for the greatest number of post titles utilising Go-Betweens songs, but The Clientele’s cover of ‘Orpheus beach’ can now be heard on the Rare victory tribute to Grant McLennan site (as previously mentioned here). You might also want to get yourself over to Bradley’s Almanac, where the full Clientele set from Boston Museum of Fine Arts earlier this year is available with a quality of sound that anyone who’s seen them in London will not be entirely used to. On the subject of covers, there’s a great, concise rendering of Television’s ‘The fire’ for one of the encores. At best, tribute albums are hit and miss; at their worst they are a train-wreck of cherished songs, carriage after calamitously mauled carriage. I’m hoping that when Love goes on! A tribute to Grant McLennan appears, it has at least some selective repeat play potential. The Clientele will tackle ‘Orpheus beach’, while Paul Handyside of Hurrah! 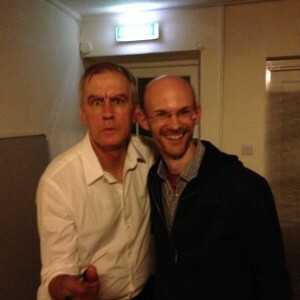 is attempting – with greater inherent risk – ‘Bachelor kisses’. No-one appears to have been brave or foolhardy enough as yet to take on ‘Cattle and cane’, but I guess there’s still time for someone to entertain us with that error of judgement. On the Rare Victory site you can hear what the Orchids have made of ‘Magic in here’ and no less than five competing versions of ‘Love goes on’, the winner being Private Eleanor, although I think the Bank Holidays can count themselves unlucky. Best of all on current display is ‘The Devil’s eye’ as performed by GB3 and Angie Hart. GB is Glenn Bennie who recorded with Grant in the year before he died, while Angie Hart was the singer in Frente! who worked similar magic on New Order’s ‘Bizarre love triangle’ back in 1994. The timbre of her voice is not unlike Grant’s and yet of course it has the advantage over the male interpreter of bringing something other to the song. Couple this with her perfectly judged phrasing and you have a cover that even the Clientele may struggle to better. Intermission: the best of the solo recordings 1990-1997 is the result of Robert Forster and Grant hand-picking a baker’s dozen songs each from four times that number. The character of each disc is striking – if you knew nothing of Robert and Grant, you would never guess from this evidence that they grew up in the same group. Of course, those characters were already long-developed and contrasting by the time the first phase of the Go-Betweens came to an end, but the bond then was stronger than the difference, so that one could easily drop a vocal into the other’s song. Had the solo works been songs on four extra Go-Betweens albums, Robert’s might have been softened and harmonised by Grant’s presence. Owing to Robert’s greater editorial and conceptual clarity, Grant’s songs could have been more focused, less affected by the sheen of a commercial production. I think Robert survived better than Grant as a former Go-Between, allowing looser inflections of country and country rock to infiltrate his music, and each album (bar the less than successful covers set) has a distinct feel. But throughout his attempts to produce the perfect song for FM radio, Grant retained his poetic sensibility, mourning the fragility of love, or celebrating its greatness and perfection. The ‘acoustic stories’ part of the That striped sunlight sound DVD also illuminates their partnership, with conversation between the pair and great untreated versions of some of their best songs. Grant begins to lose his voice halfway through the session, recorded the day after the Brisbane show also filmed for the disc. You feel for him, a man forever stretching, yearning, reaching for artistic highs and heights. A man very much alive.